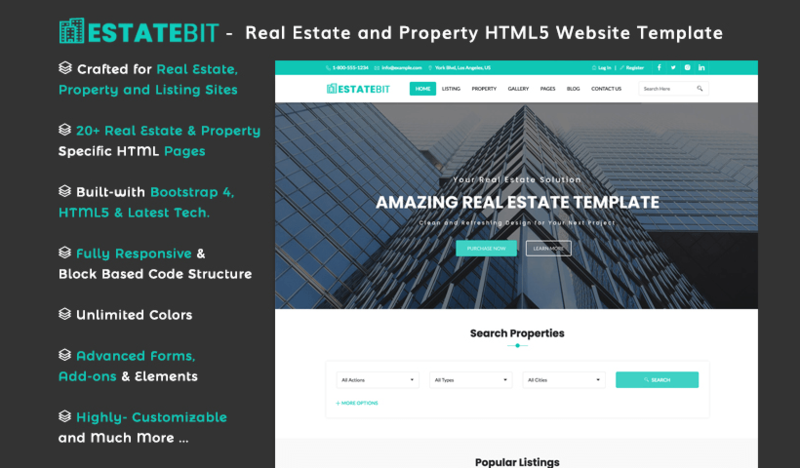 EstateBit is Free and Premium Real Estate Web Template Comes with Modern Design, 20+ Real Estate Specific Pages, 3 Different Homepage Variations and 100+ Elements. 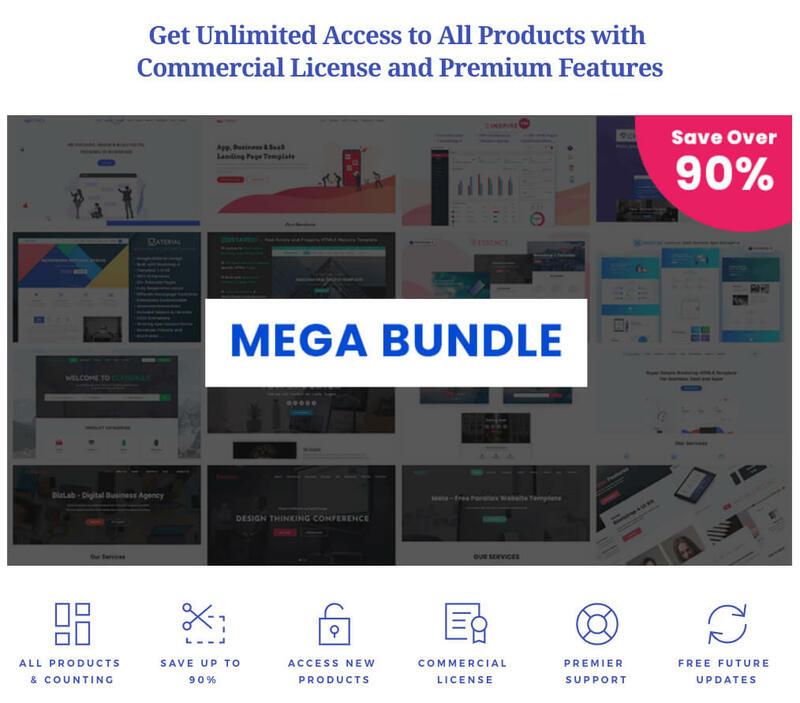 EstateBit built-with Bootstrap 4 and Latest Web Design Technologies Also Packed with Essential Plugins and Libraries for Efficient Development. It is highly and Easily Customizable Real Estate Template Coded by Following Block-based Coding Structure, Stylesheet Generated with SASS, Codes are Well Documented and Developer Friendly. If You are Looking Template for Real Estate Agency, Real Estate Showcase, Real Estate Broker, Real Estate Directory, and Property Related Websites or CMS with All Modern Features and Pages, EstateBit is Perfect Choice for You!